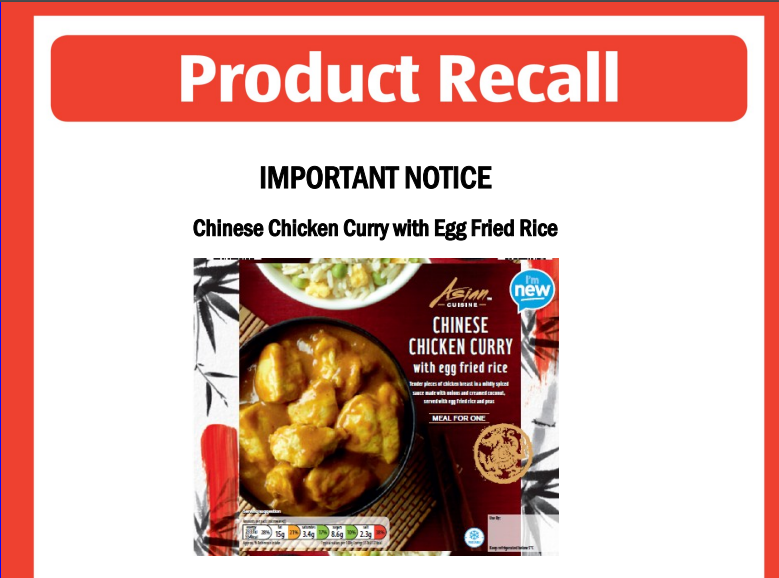 Supermarket chain ALDI has recently put out a recall notice for its Chinese Chicken Curry with Egg Fried Rice. The chain was notified by their supplier that the product contains milk, which is not on the list of ingredients. This could cause a health risk for anyone with an allergy or intolerance towards milk or milk constituents. The FSA has advised ALDI to contact relevant allergy support organisations, which can then contact members about the recall. They will also have been advised to issue a point-of-sale notice to customers. These notices explain to customers why the product is being recalled and tell them what to do if they have bought the product.